It’s time to fire up the grill and get ready for warmer weather. Fortunately, unlike parts of California, Bernalillo County, where I live in New Mexico, does not have any air pollution regulations pertaining to smoking or grilling, so we’re free to create smoke in our own back yards. What follows is my favorite menu for grilling at this time of the year, and since I spice up nearly everything I grill, these recipes will have heat that you can vary to your own chile desires. Some people don’t like lamb, which is a real mystery to me since it’s my favorite meat. So, pork chops can be substituted but you won’t need two per person, but rather only one. Grilled pork is medium at 160 degrees F.
To complete the grilled meal, grill banana halves, brush them with butter, sprinkle them with cinnamon and when done, serve them with chocolate ice cream. Before advances in livestock husbandry made young lamb available all year long, it was especially popular in the spring, when the ewes were born. 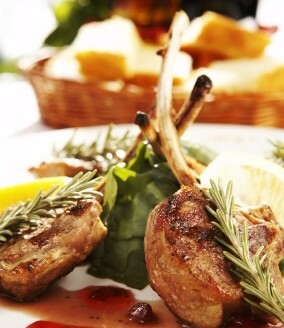 Still, spring lamb is particularly tender and non-gamy. I’m using a rub popular in Kentucky, where they barbecue the lamb. Finally, the balsamic reduction finishes the grilling. Start the grill or build a charcoal fire in the grill. Wash and dry the chops. In a bowl, mix together all the ingredients for the rub. Spread the rub evenly over the lamb chops on both sides. In a saucepan, combine all the ingredients for the balsamic reduction. Bring to a boil and reduce the heat to a simmer. Simmer for 10 minutes until the sauce thickens, stirring occasionally. Remove from the heat and remove the garlic and the rosemary. 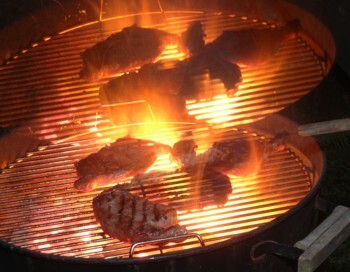 Grill the chops over a medium fire (150 degrees F. internal temperature for medium-rare). When almost done, brush the chops on both sides with the balsamic reduction. Heat each side of the chops, remove to a platter, and serve. No, you can’t use canned or frozen—this recipe only works with fresh asparagus, so take advantage of these spring asparagus months. This is an excellent accompaniment to grilled seafood, too. Note: You can reduce the marinade in a small pan and serve it over the grilled asparagus. Combine all the ingredients for the mop in a bowl and mix well. 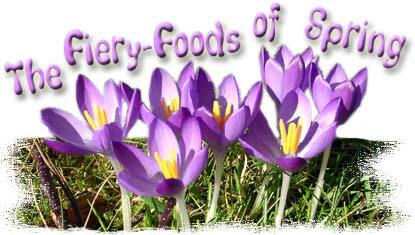 Cut off the tough stem ends of the asparagus, rinse and place in non-reactive, shallow bowl. Pour the mop over the asparagus and marinate, at room temperature, for an hour. Start the grill or a charcoal fire. 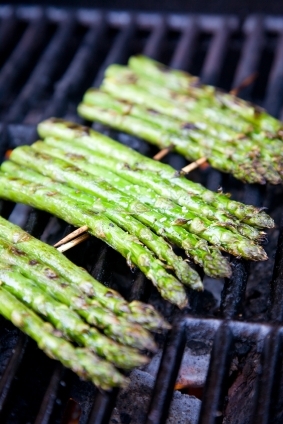 Grill the asparagus over medium heat for 2 minutes on each side or until done but still crisp. Use the grill to warm up these potatoes while the lamb chops are grilling. Bake the potatoes in the oven until just done. Cut the potatoes in half, scoop out the potatoes and, in a bowl, whip them with the milk, chipotles, garlic, and just enough additional milk to hold them together. Place the potatoes back in the skins. Place the potatoes on the grill, away from the direct flame, and place on the grill. When the lamb chops are done, the potatoes should be hot.